LEICESTER are delighted to announce the appointment of Scott Nicholls as team captain for the 2019 Championship season. The former British Champion was always the most likely candidate for the role given his extensive experience and reputation within the sport, and having successfully held the position at several previous clubs including Coventry, Belle Vue and Rye House. Nicholls returns to the Lions this year after spending the second half of last season with the club at Premiership level. 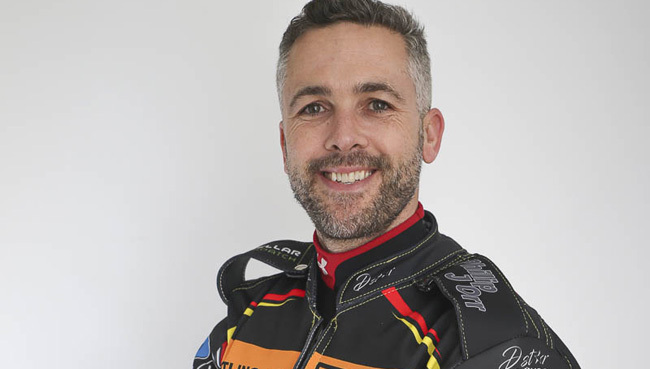 And co-promoter Stewart Dickson says the captaincy is all the more important this year due to the presence of less-experienced riders in the line-up. He said: “Scott was always going to be my first choice as captain, he likes having the responsibility and he understands what we need from him. “Scott is very interested in helping the young riders at the lower end of the team, and when I touched base with him it was a job he wanted, which definitely pleased me. “We do have a bit of youth at the bottom end, and he should be very helpful especially when it comes to things that I don’t know myself, such as bike set-ups and the way to approach certain tracks. “We know he’s there to score points first and foremost, but there are a lot of kids at the lower end of teams this year, which is great, and you need someone other than the team manager to help push them along. News of the Lion Cubs captaincy is also expected soon, and supporters are reminded that the club stages the very first meeting in British Speedway this season. The Ben Fund Bonanza on Sunday March 17 (2pm) raises vital funds for the sport’s injured riders, and is expected to draw a big crowd to the Paul Chapman & Sons Arena.